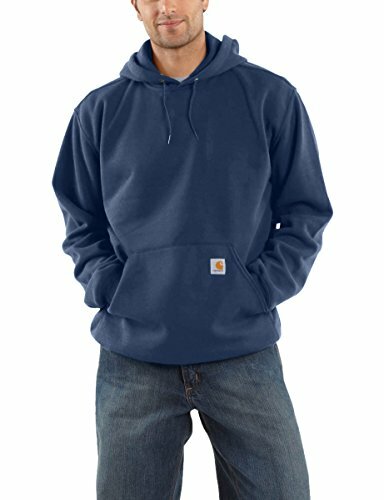 Carhartt, large, regular, new Navy, Men's, midweight hooded logo Sweatshirt, original fit, cotton/poly, front hand warmer pocket, 10.5 oz, 50% cotton, 50% polyester blend, fiber content is 70% cotton, 30% polyester, attached 3 piece hood with draw cord closure, front hand warmer pocket, Stretchable, spandex reinforced Rib knit cuffs & waistband, triple stitched main seams, Carhartt signature logo printed on left sleeve, this item is only available to Carhartt dealers. 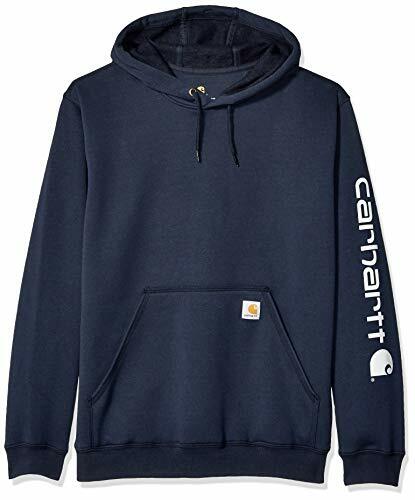 Carhartt, medium, regular, new Navy, Men's Mid weight hooded Pullover Sweatshirt, cotton/poly, 10.5 oz, 50% cotton, 50% polyester blend, attached 3 piece hood with draw cord closure, front hand warmer pocket, Stretchable, spandex reinforced Rib knit cuffs & waistband, strong triple stitched main seams, Carhartt label sewn on pocket, this item is only available to Carhartt dealers. 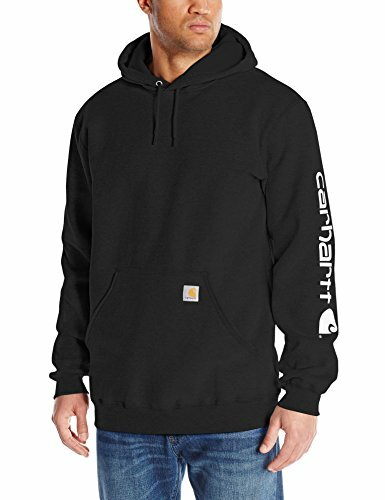 Carhartt's midweight hooded logo-sleeve sweatshirt comes in great colors. Made of a 10.5-ounce, 50% cotton/50% polyester blend, it features an attached hood with draw-cord closure, front hand-warmer pocket, spandex-reinforced rib-knit cuffs and waistband. The carhartt logo is printed on the sleeve and a logo patch is sewn on the pocket. 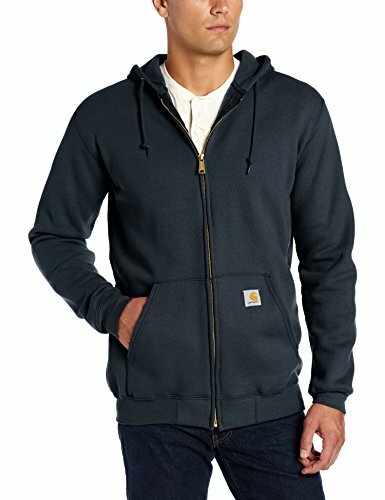 Carhartt, XL, tall, new Navy, Men's Mid weight hooded Pullover Sweatshirt, cotton/poly, 10.5 oz, 50% cotton, 50% polyester blend, attached 3 piece hood with draw cord closure, front hand warmer pocket, Stretchable, spandex reinforced Rib knit cuffs & waistband, strong triple stitched main seams, Carhartt label sewn on pocket, this item is only available to Carhartt dealers.